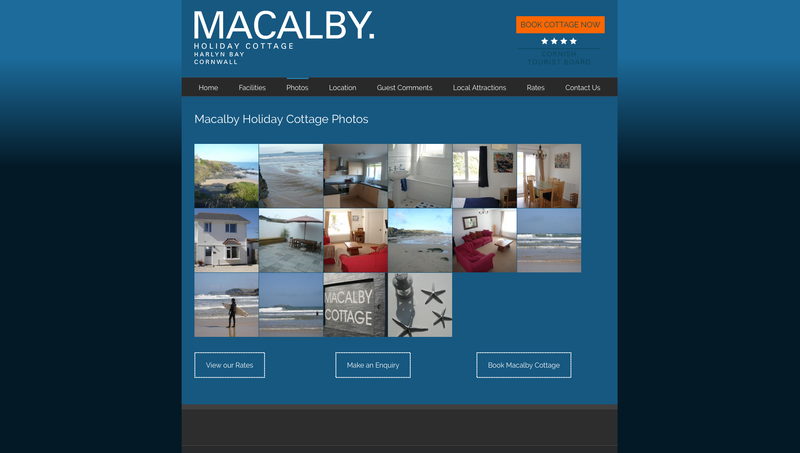 Macably Cottage is a family holiday rental situated overlooking picturesque Harlyn Bay on the North Cornwall coast. Whilst this cute Cornish cottage has always been a popular choice for returning families, the existing website wasn’t working as hard as it should have to celebrate all that this idyllic holiday spot had to offer to new and prospective guests. 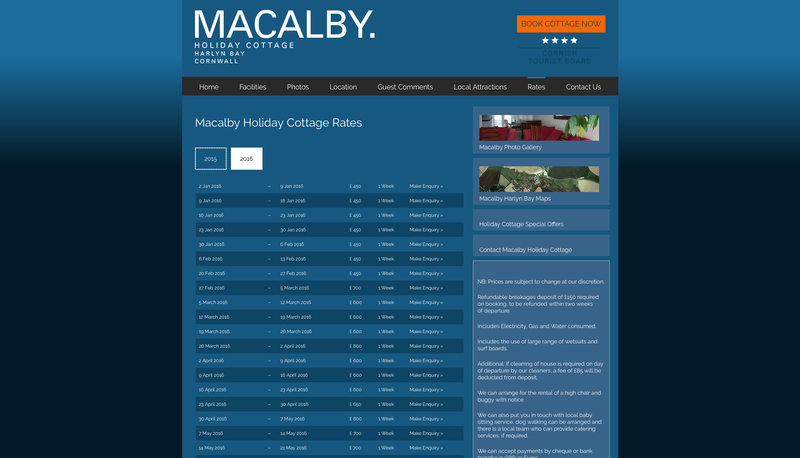 So the owner asked us to help improve the online visibility of Macalby Cottage and make some much needed updates for improved usability and a more streamlined appearance. The first thing we did was transfer the website over from a more complicated custom content management system to wordpress, allowing the owner to take full control of their website content with ease. 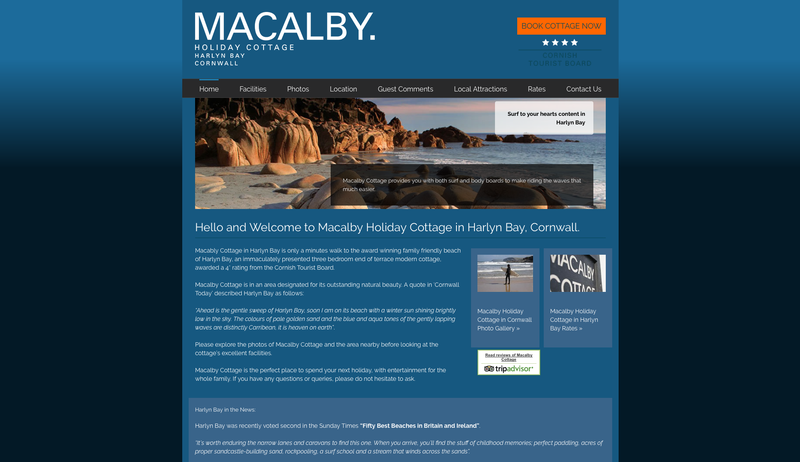 Alongside the transferal of the site, we added new fonts and styling features to create a website as inviting as the incredible holiday accommodation represented. On the homepage we included a TripAdvisor widget to make the most of the brilliant reputation that this well-equipped holiday home has built on this popular travel review website. The widget directs users to read recommendations from past guests and also check availability and request to book through TripAdvisor’s partner website, Holiday Lettings. We also updated the site to improve usability, particularly on the ‘Rates’ and ‘Gallery’ pages of the website. Updates were also made to ensure that the website runs smoothly across all browsers and on all devices, including mobile.